I'm using the FilterHub trial version, and I have all the Topaz bundle plugins including Photofxlab installed in CS6 (Windows 7- 64bit). However, only Simplify 4.01 and PhotoFxlab shows up in FilterHub - why? Does all the Topaz plugins need to go through PhotoFxlab, and if so, why then does Simplify show up and not the other 10? Actually all Topaz plugins show up here in FilterHub. Do you use the latest versions of the Topaz plugins, if not please update them. FilterHub should display all plugins that are on the Filter menu. Do you see them there? I have all the latest Topaz plugins - or else they won't show up in PhotoFxLab! It looks like it's a Topaz issue, as ONLY PhotoFxlab and Simplify 4 show up in the Photoshop Filter Menu - sooo, it seems like Topaz wants to open all their plug ins using PhotoFxLab from Photoshop. Don't know why Simplify is separated out separately since it is ALSO in PhotoFxLab list with previews! Topaz places a .lnk file into Photoshop´s plugin folder, which points to the installation folder of the plugin. I suspect that when installing photoFXlab, the .lnk file of all plugins were removed. Seems that the .lnk file of Simplify was overlooked. If you want the plugins to appear as seperate items on the Filter menu and in FilterHub, you need to recreate these .lnk files. To do that go to the installation folder of each plugin, right click on it and choose "Create Shortcut" from the context menu. 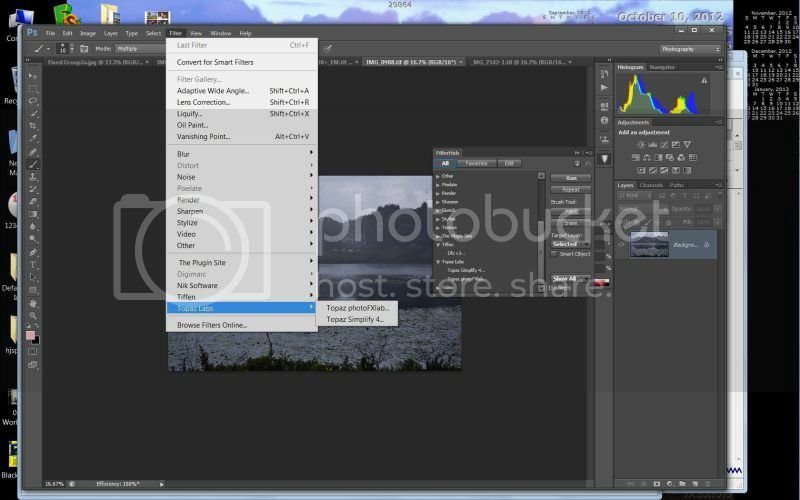 Then move this shortcut .lnk file into the Photoshop Plug-Ins folder.